Phi Delta Kappa (PDK) International, publisher of Kappan magazine, is a professional association for educators that brings together the top leaders, thinkers, and doers to collaborate and inspire one another. The Kappan is a highly-regarded Phi Delta Kappan, education policy magazine, and sponsors the annual PDK/Gallup Poll of the Public's Attitudes Toward the Public Schools. PDK International family of education associationsPDK is the original member of the PDK International family of education associations, which also includes Pi Lambda Theta (PLT) and Educators Rising. Together, these three associations support the full spectrum of the education profession, beginning with Educators Rising for pre collegiate prospective educators, continuing with PLT for collegiate preservice and practicing teachers, and concluding with PDK, serving the professional needs of career educators. Vision: To be the experts in cultivating great educators for tomorrow while continuing to ensure high-quality education for today. Join us in this important work. 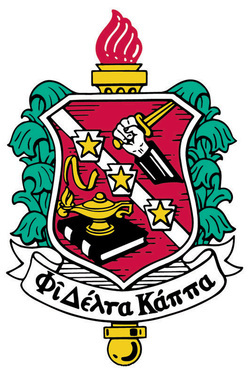 The American University (AU) Chapter, Zeta Eta Campus Chapter of Phi Delta Kappa, was initiated and installed on May 8, 1965. The induction was performed by International and District Officers from Minnesota, Utah, Mississippi, Nebraska and Indiana. The initiation team was from The Beta Gamma Chapter at The George Washington University. At that time it was a professional fraternity for men in education. Sixty-six men were initiated into PDK. Dr. Thomas L. Penn, still an active member of the AU Chapter, was a charter member. In 1974, the first class of women was initiated into the chapter. unique opportunity to network with other like-minded educators. These are just some of the many benefits for PDK members.